If your kids are already complaining about sandwiches, try a sushi-twist! Simply roll up a slice of bread with your kid's favourite ingredients inside, such as Qukes®, ham and cheese, then slice them into bite sized pieces and pop into the lunchbox for your kids to devour. They're gorgeous, sushi-looking bites that take no time to make. If you are looking for a gluten-free lunchbox idea that will fill their tummies too, why not try cute Qukes® sliders. Simply slice the Qukes® lengthways, being careful not to cut all the way through, and then stuff with your kiddies' favourite fillings. Shredded chicken from the last night's dinner, cheese or even dips like guacamole, all work well in these fun little sliders. If your kids come home with full water bottles and are too busy having fun to keep sipping during the day, try adding foods to their lunchbox that have a high water content so they can literally "eat their water". Foods like watermelon, strawberries, Qukes®, and tomatoes are great for extra hydration. 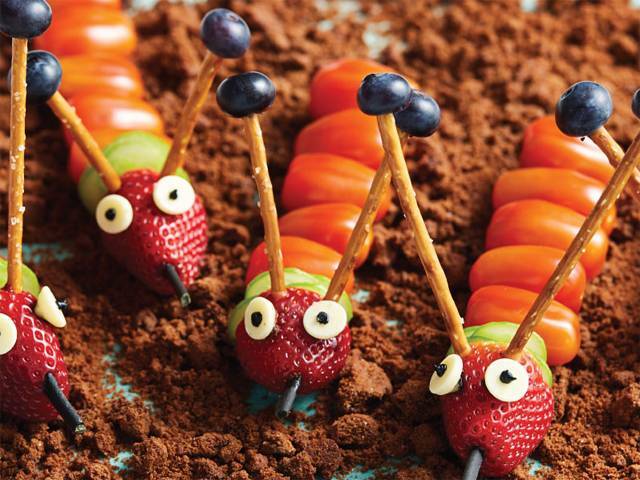 Fun foods are a great way to get your kids to eat more of what's good for them. Bite-sized veggies like Qukes® and snacking tomatoes are ideal for this. Simply slice and pop in their lunchbox for Crunch 'n' Sip or recess.